Three eliminations from being in the money and Casey McCarrel puts Ari Engel to the test near the bubble. McCarrel moves all in on the [Kh][Jh][9c][Ks] board, Engel going deep in to the tank. 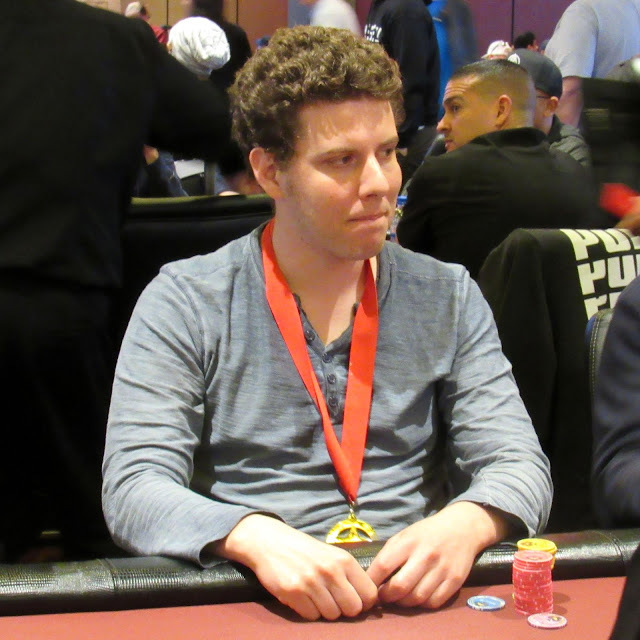 Engel talks quite a bit, getting no reaction from McCarrel - who has been on quite a run lately with his 16th at WPT LAPC and 15th at WPT Thunder Valley six days later. Engel finds a fold, opting to look for another spot. There's an elimination at another table and the field is now two from the money with 20 minutes left before break.